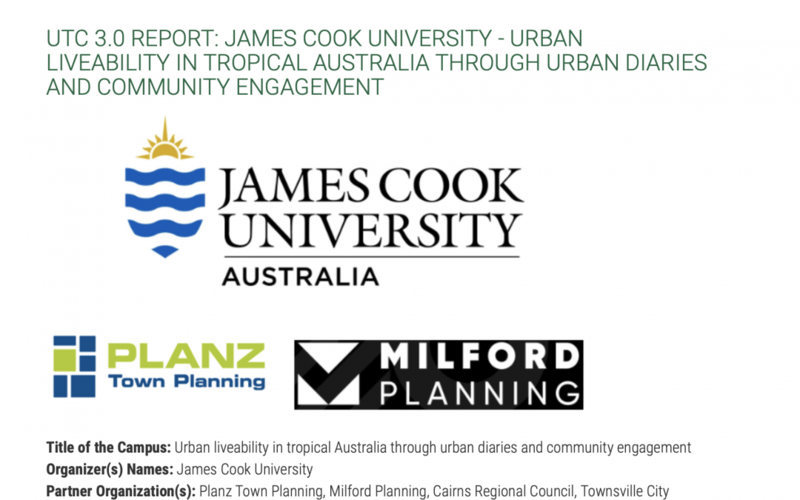 The extensive report is now available, which summarizes the Cairns and Townsville, Australia Urban Thinkers Campus in June, 2018. The Campus embraced SBC urban diary concepts to assess the potential for improvement of public health in tropical Australian Cities. Chuck Wolfe served as a Fulbright Specialist for the Campus team, which was headquartered at James Cook University’s Cairns campus. Click here to review and/or download.